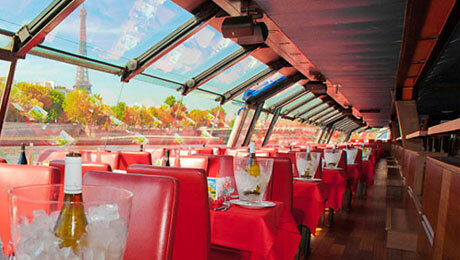 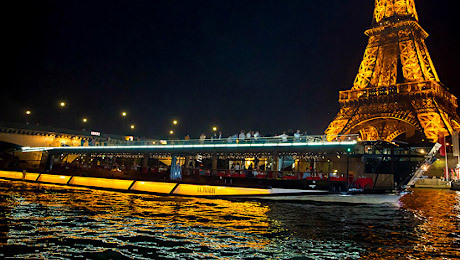 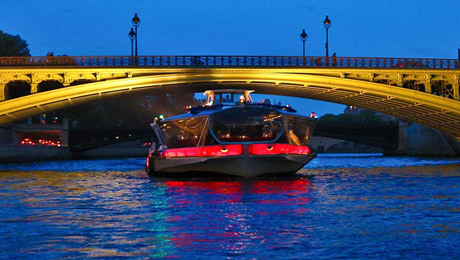 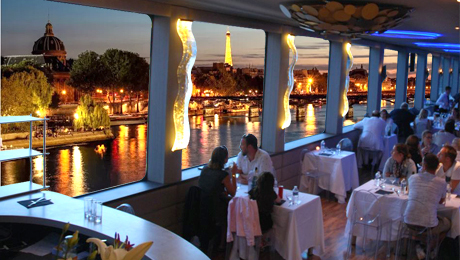 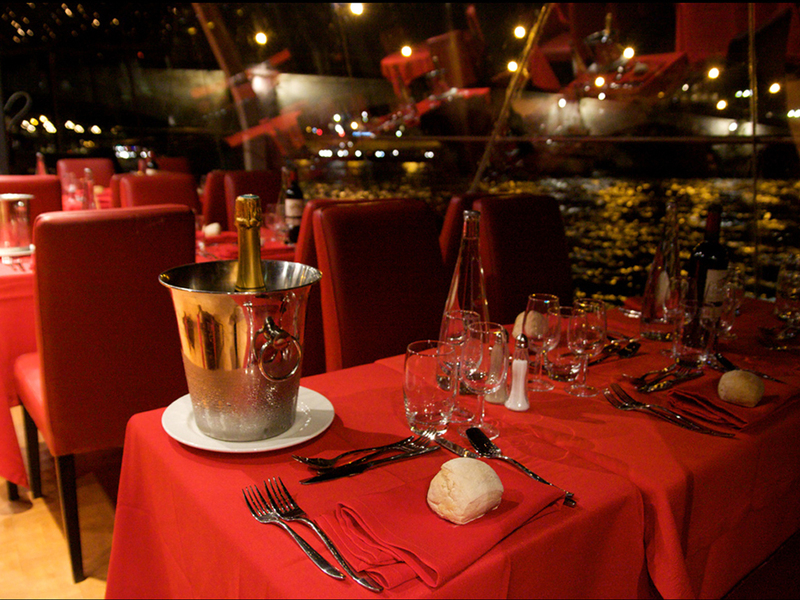 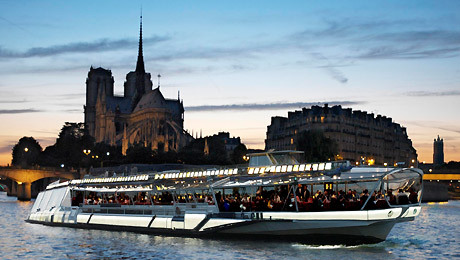 " Cruises with lunch or dinner on the famous Bateaux Mouches® "
For more than 60 years,the Bateaux Mouches® have been offering cruises, lunch and dinner cruises by the Seine in Paris. 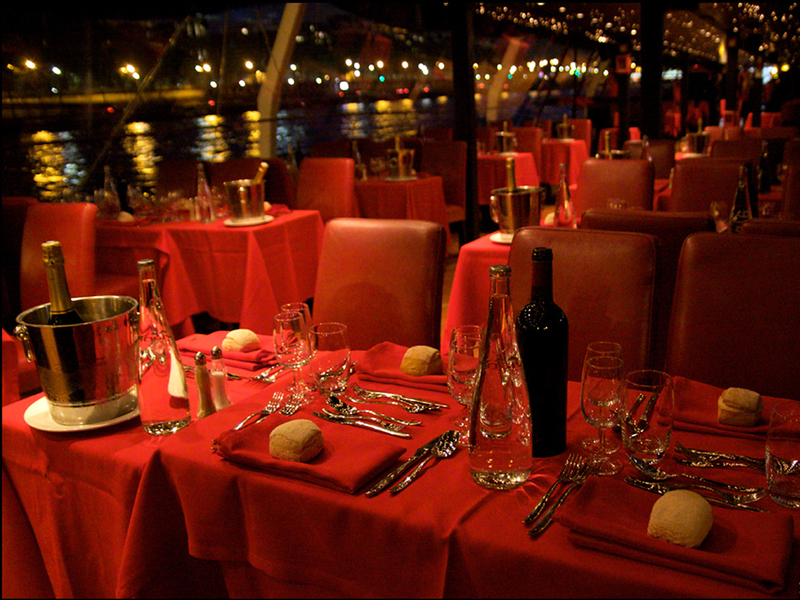 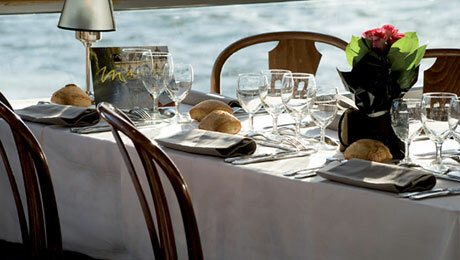 Discover Paris during a meal, guaranteed seated near the windows, cooked from fresh and seasonal products. 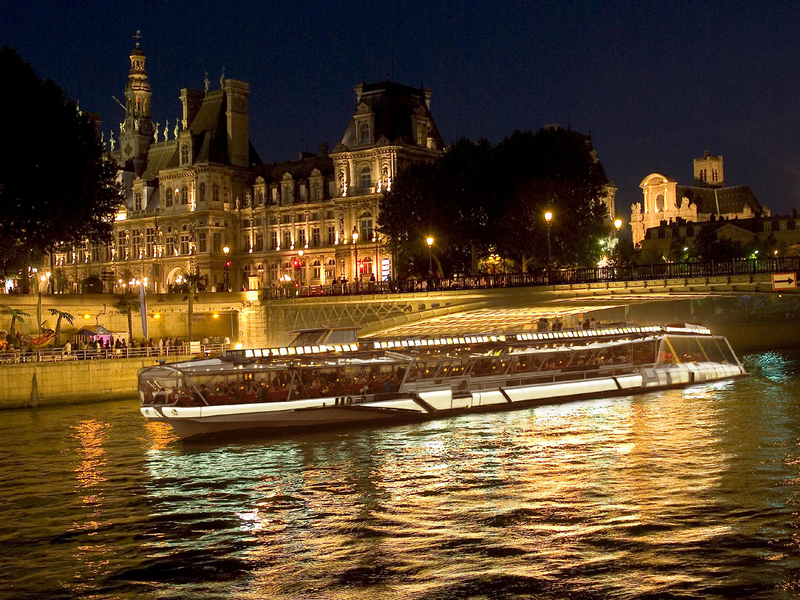 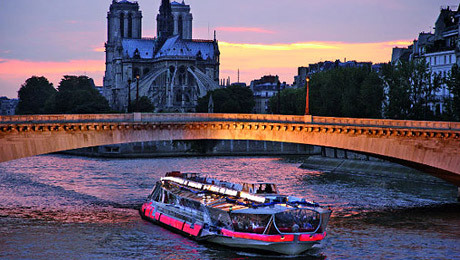 A romantic and unforgettable moment accompanied by musicians during your complete tour of Paris on a cruise by the river Seine. 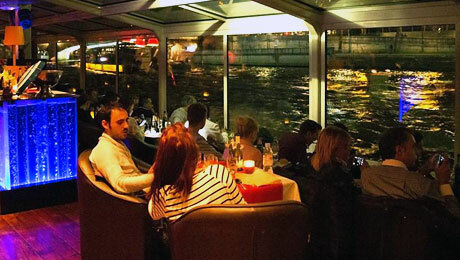 Every Saturday and sunday at 12:30 a.m.